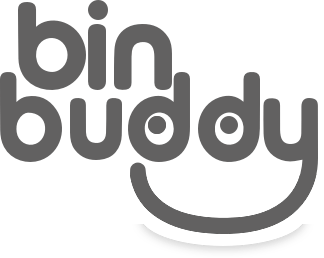 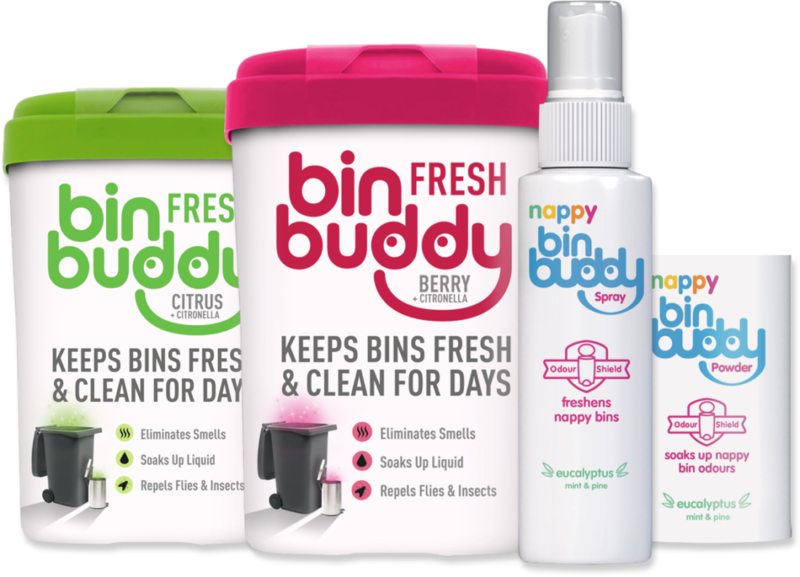 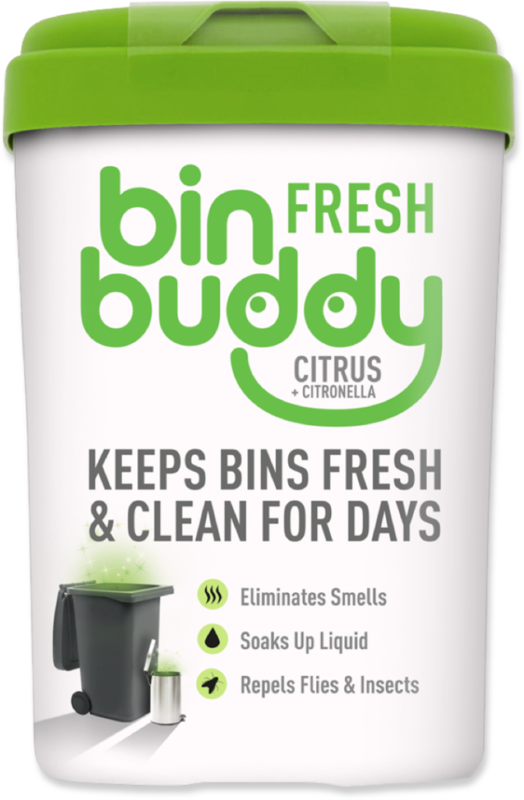 Bin Buddy makes your bin smell fresh and soaks up the mess. 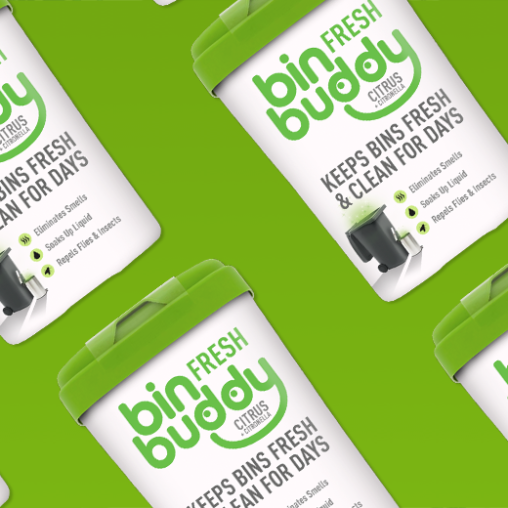 Bin Buddy is used all over the world. 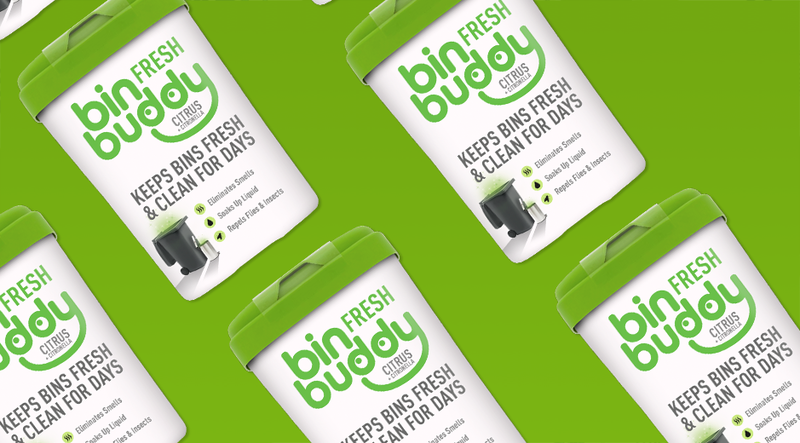 We exist to help you sit back relax and smell the roses, not the contents of your bin. 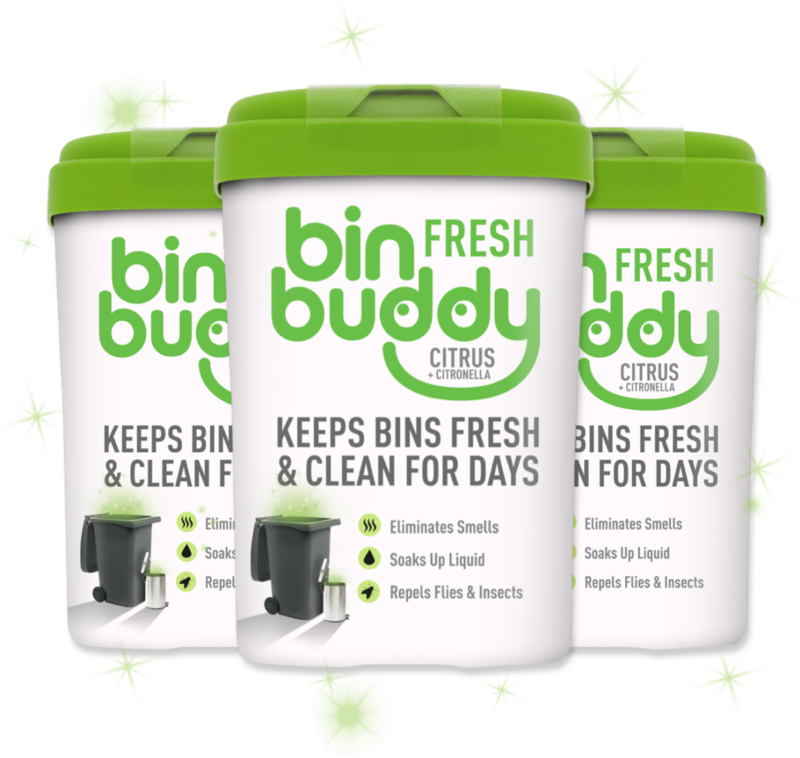 Our products always keep bins fresh and clean for days, eliminating smells, battling insects and soaking up mess. 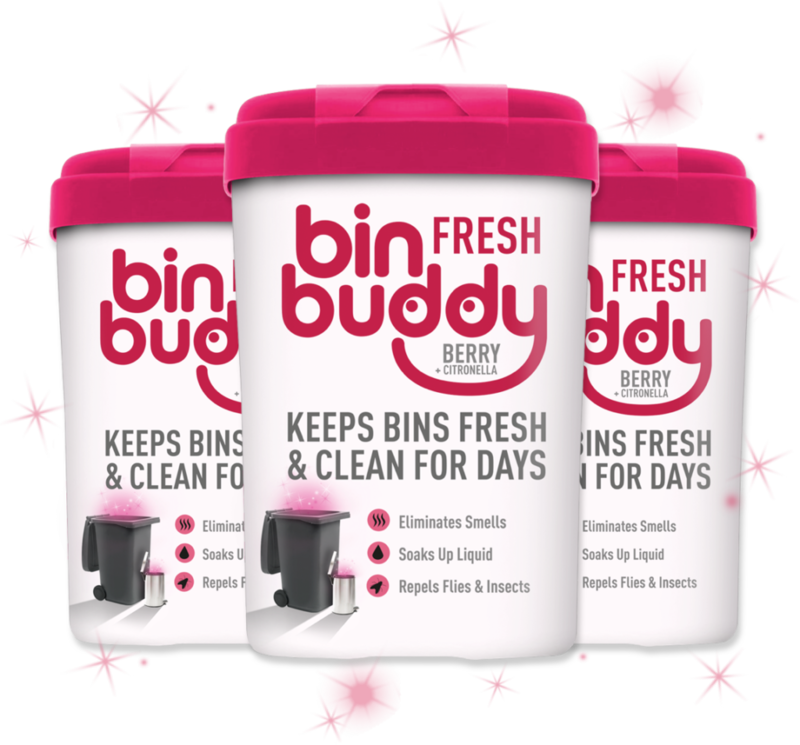 Used as required, Bin Buddy will reduce the frequency of use of bin bags and reduce the number of trips to the curb to dispatch your rubbish. 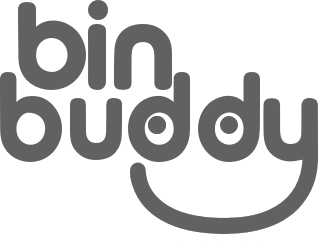 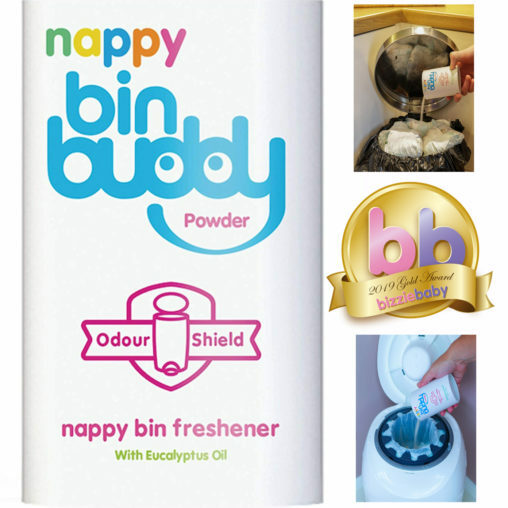 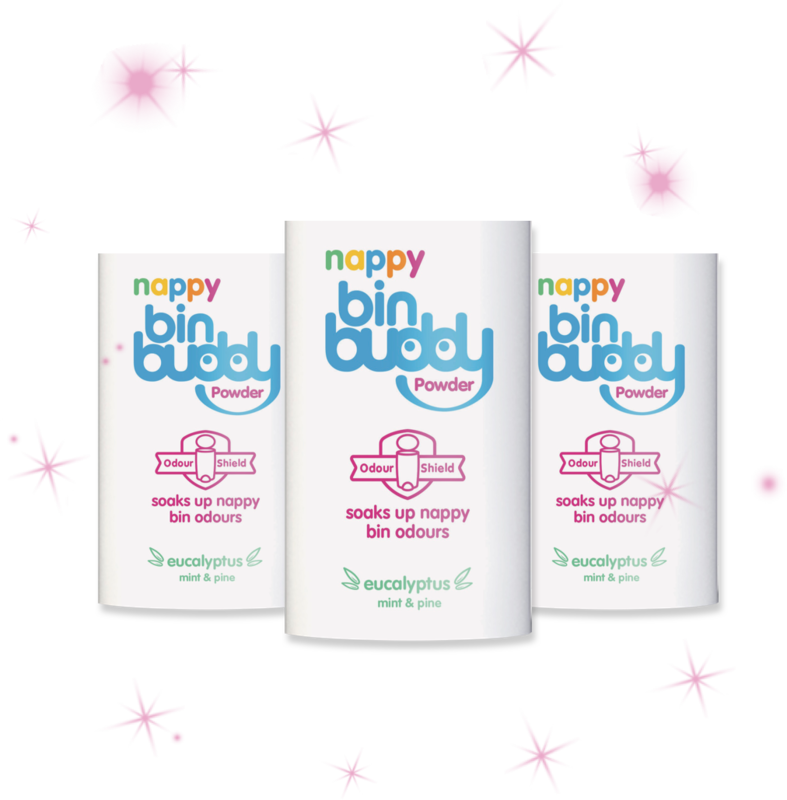 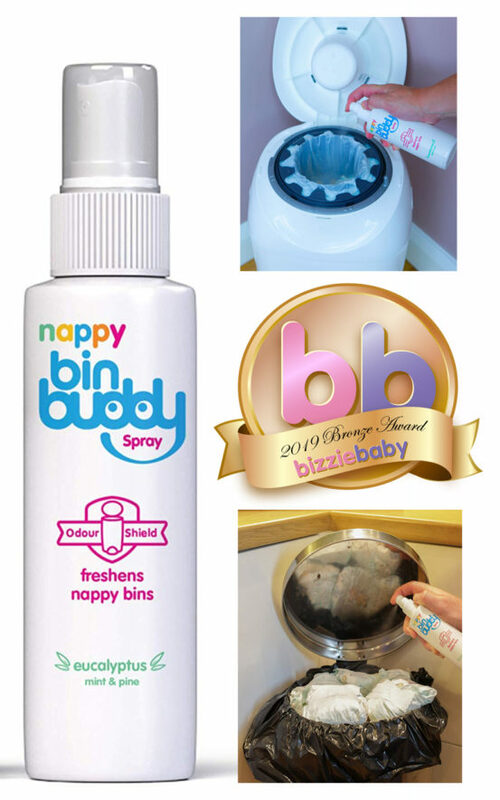 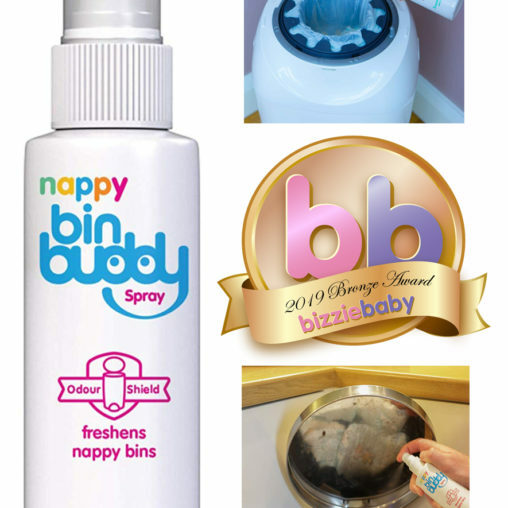 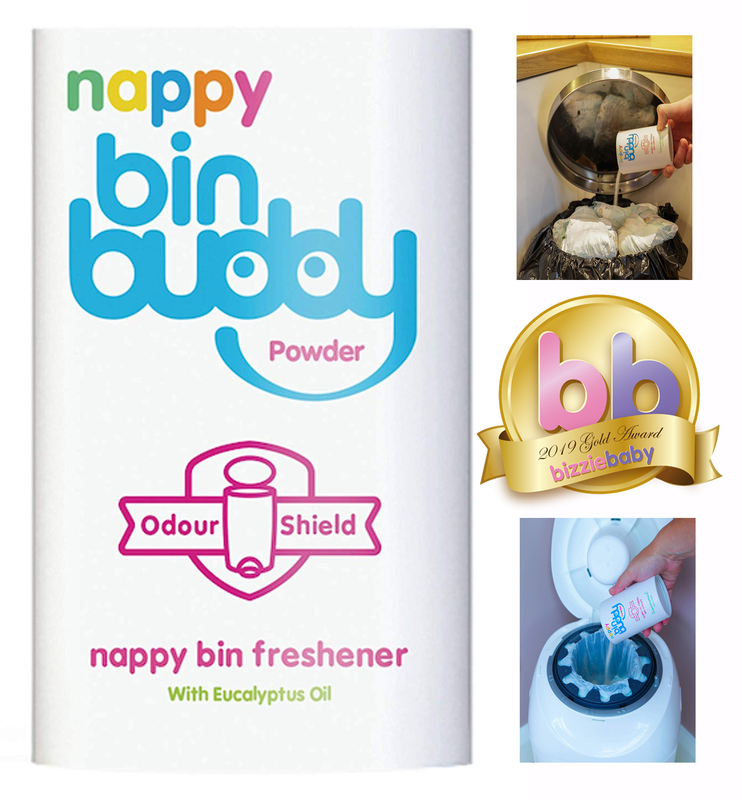 Nappy Bin Buddy Spray – Mother’s Little Helper!